1.The expandable garden hose can automatically expand up to 3 times its original length when the water turned on and automatically retract to original length when the water turned off. 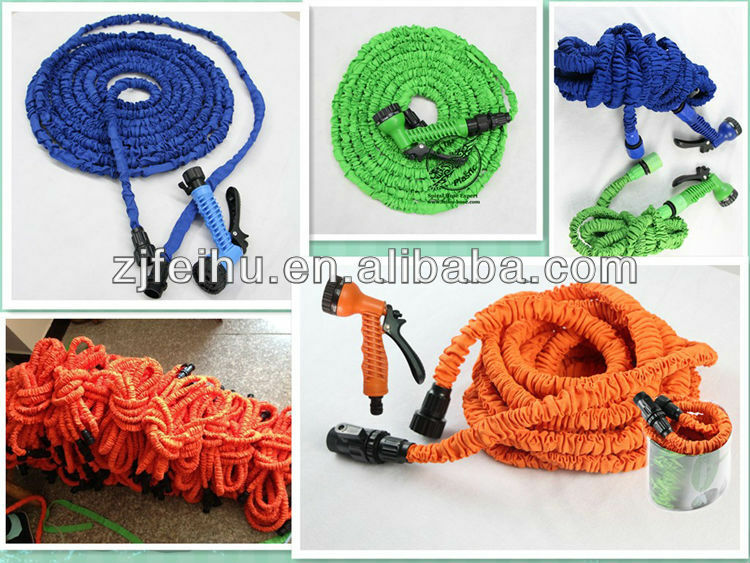 2.The hose is light, colorful, flexible, good cold and hot resistance. 3.Used for industrial watering, lawn and garden watering, nursery water supply lines, commercial wash down, Golf course water lines and car cleaning. We are one of the top manufacturer of the garden hose, so OEM is acceptalbe for brand, length,color,and package. Sincerely wish to receive you inquiry for our garden hose, We promise you our first attention to it.